The University of Oxford is committed to the dissemination of its research, and in support of this commitment provides ORA. 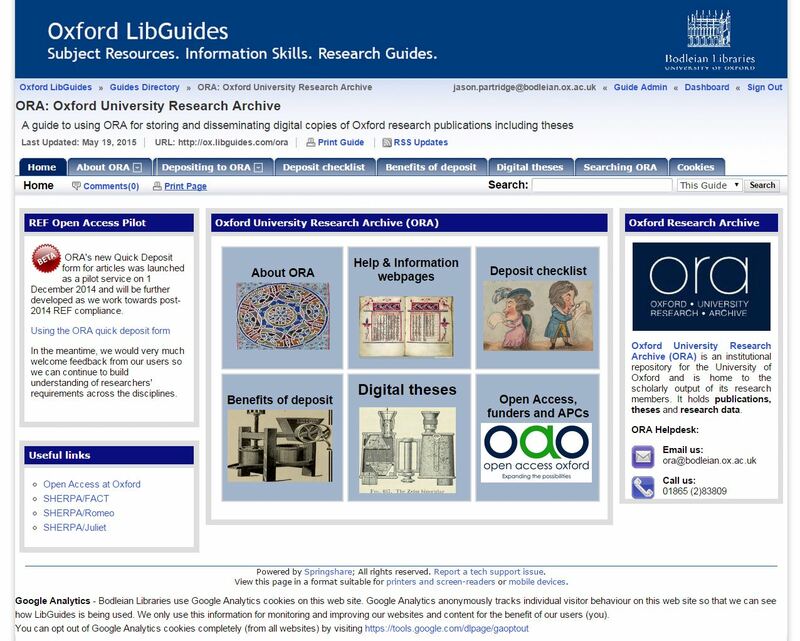 The Oxford University Research Archive (ORA) was established in 2007 as a permanent and secure online archive of research materials produced by members of the University of Oxford. It provides a single point of public access to electronic copies of peer-reviewed journal articles, conference proceedings by Oxford authors and Oxford research theses, created in fulfilment of University of Oxford Awards. This also provides a means for institutional compliance with funders’ Open Access requirements. ORA is maintained by staff within the Bodleian Digital Libraries System and Services Department (BDLSS) of the Bodleian Libraries. Contact details are available here.